Thinklogical’s Virtuoso-PRO is designed for professional audio applications and provides the highest quality, industry leading audio performance. The Virtuoso-PRO transmits and extends up to eight audio signals over two fibers. The system supports a combination of audio signals such as, AES3, S/PDIF and analog stereo, making this a versatile and exible extension system. 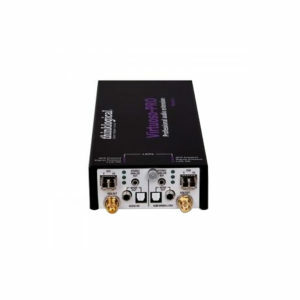 Featuring unrivaled audio extension technology the system features a sampling rate of 32 – 192 kHz, ideal for broadcast applications. The Virtuoso-PRO is available in a stand alone or rack mount chassis model. The compact stand alone system is made up of transmitter and receiver unit and is compact enough to it discretely at the desktop. The rack mount chassis houses Virtuoso-PRO audio modules. The chassis can be comprised completely of audio modules or can be combined with Thinklogical’s video extension modules (SDI or DVI). This provides an ideal solution for users who need both professional audio and video extension in one unit. 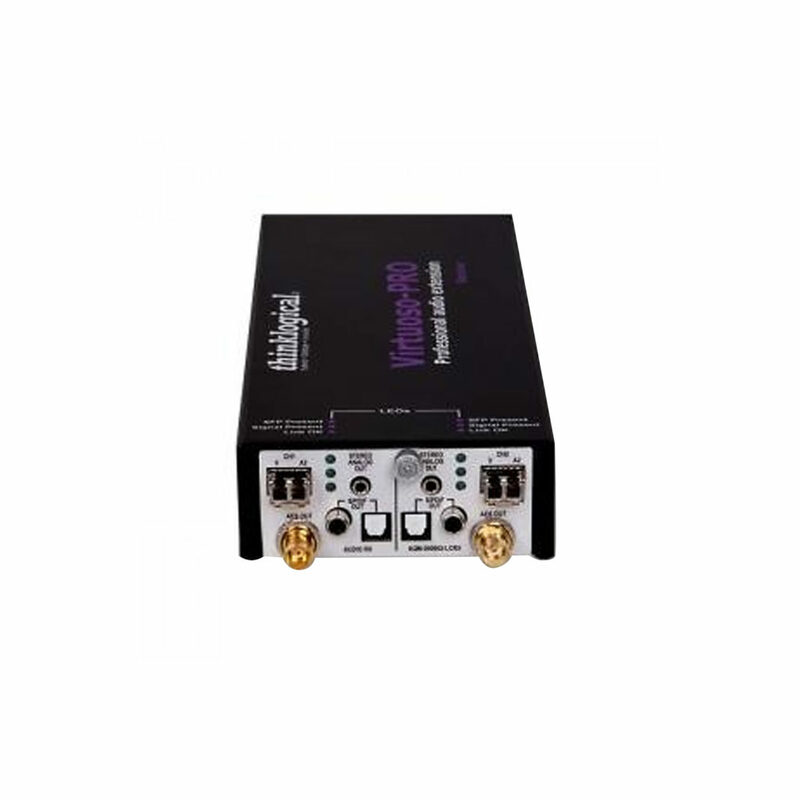 In addition, the system supports either single or multi-mode fiber, and is fully compatible with Thinklogical’s video and KVM extension systems as well as the VX and HDX Router line of products.